Holly FitzGerald and her husband, Fitz - married less than two years - set out on a yearlong honeymoon adventure of a lifetime, backpacking around the world. Five months into the trip, their plane crash-lands in Peru at a penal colony walled in by jungle, and their blissfully romantic journey turns into a terrifying nonstop labyrinth of escape and survival. The River of Doubt; it is a black, uncharted tributary of the Amazon that snakes through one of the most treacherous jungles in the world. Indians armed with poison-tipped arrows haunt its shadows; piranhas glide through its waters; boulder-strewn rapids turn the river into a roiling cauldron. After his humiliating election defeat in 1912, Roosevelt set his sights on the most punishing physical challenge he could find, the first descent of an unmapped, rapids-choked tributary of the Amazon. Together with his son Kermit and Brazil's most famous explorer, Candido Mariano da Silva Rondon, Roosevelt accomplished a feat so great that many at the time refused to believe it. In the process, he changed the map of the western hemisphere forever. 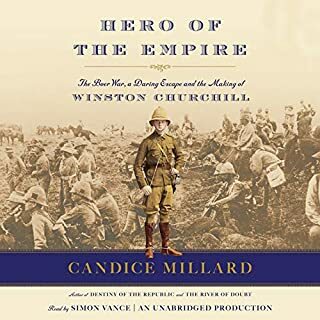 ©2005 Candice Miller (P)2005 Random House, Inc. 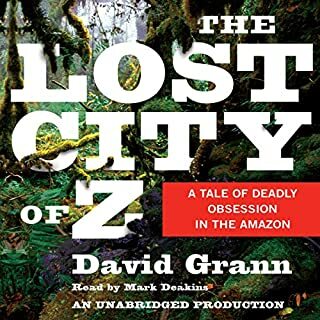 This is a wonderfully written book about an amazing adventure - a journey down an uncharted and unexplored river of the Brazilian rain forest, led by the middle-aged ex-president of the United States. The explorers encountered privation, injury, disease and death in seeking the river's outlet to the Amazon; the two-month journey was nearly Roosevelt's last. This is an account of Teddy Roosevelt's search for adventure after leaving the White House. He decides to tackle the charting of "The River of Doubt" an unexplored tributary of the Amazon. This is just a great story which fleshes out the biography of TR that I have carried in my head for so long. The former President, his son, and a partner set out on this "adventure" and all sorts of things happen along the way. In addition to enlightening the listener about the post-presidential activities of TR, this book is wonderful for two reasons. 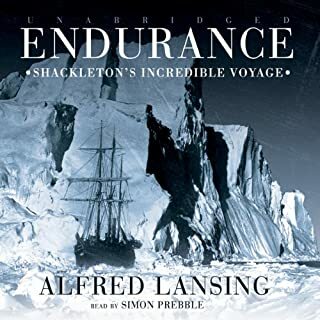 First, the narration is some of the best that Richard Ferrone has recorded. Second, I purhcased the Abridged version. I usually avoid abridgements because they read like "cut and paste." This abridgement made me wish I had rented the full version. 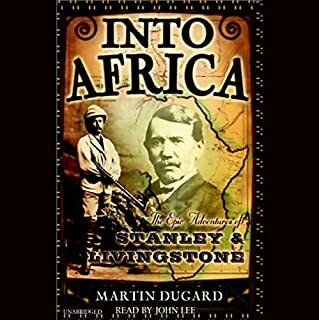 The final section of the book informs the reader of what happened to TR and his son after the South American exploration. That is quite touching and informative as well. Hooray for Candic Millard. I hope that she authors much more to come. Usually I do not write reviews, but in this case I felt an obligation to tell all who would like a suspense filled biography from beginning to end, that this is it. Betond the suspense there are bits and pieces of human interaction that Candice Millard picks up. This was the best book that I have ever heard or read and one that I didn't want it to end. Beyond the drama of the event (exploration of an Amazon tributary) the writing style and narration was key to keeping my interest. I cannot wait for the next Millard book. What you never knew about Teddy Roosevelt framed in an impressive story. It was well told in the sense that it had a great deal of detail to help dramatize it but it could have been edited and enhanced to bring it more to life. All in all, anybody that is the least bit curious what this amazing man was like should read or listen to this. Great portions if this wonderful book were skipped. 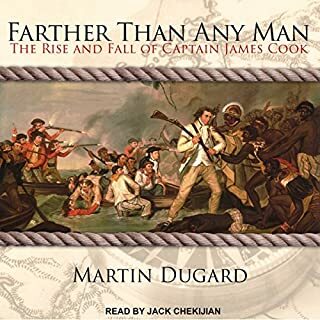 I was not aware that Audible would leave out huge portions of a book. Very disappointing. I think that it should be noted up front that you are not purchasing the entire book. Anyone fascinated with Theodore Roosevelt, Indiana Jones, or The Lost City of Z will like this story of TR's research trip for natural history. 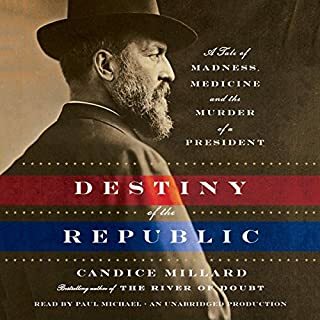 Millard is as good as David McCullough. 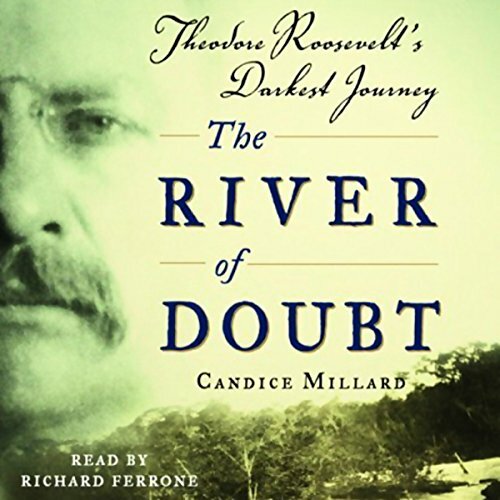 Would you listen to The River of Doubt again? Why? Yes, because the story is riveting. My favorite character was Rondon. I admired his discipline and the way this book described the events in his life that led him to such an extraordinary life. I also thought Kermit was an incredibly complex character, and was sad to hear he later succumbed to his inner demons after so many personal accomplishments. What about Richard Ferrone’s performance did you like? Yes. But I did have to break it up. After numerous technical difficulties on my mac laptop, I finally just had to use my phone app to listen to the whole thing, The mac laptop could not remember where I left off, and I could never figure out how to start up in the same spot after hitting pause. Absolutely unbelievable story- riveting, and not at all drawn out or over-embellished. Perfect length for someone who prefers a book that's not too lengthy. Great performance. Would recommend! Yes. It gave some interesting insight into Roosevelt and was a good story. What other book might you compare The River of Doubt to and why? Have you listened to any of Richard Ferrone’s other performances before? How does this one compare? I liked the abridged version; I think the unabridged version would have been more detail than I would want to go through.